On The Blacklist Season 6 Episode 17, Liz found Ressler trying to find more information, and set out to even the odds. Watch the full episode online. On The Blacklist Season 6 Episode 16, Red went on the warpath to find out who ratted him out to the police. Watch the full episode online right here. On The Blacklist Season 6 Episode 13, the team tried to take down Robert Vesco before it was too late. Watch the full episode online right here. On The Blacklist Season 6 Episode 12, Cooper put his reputation on the line with the aim of saving Red's life. Was it too late? Watch the full episode. On The Blacklist Season 6 Episode 11, Liz went on a mission to save Red's life. Was it too late for him? Watch the full episode online right here. On The Blacklist Season 6 Episode 10, The Task Force went up against their most formidable foe yet. Watch the full episode online right here. On The Blacklist Season 6 Episode 8, Liz and Jennifer were at odds over the best course of action to take down Red. Watch the full episode online. On The Blacklist Season 6 Episode 7, swaying the jury was the only way to get Ted off the hook, but was it too late? Watch the full episode online. On The Blacklist Season 6 Episode 6, Red tried to get the upper hand on everything. Watch the full episode online right here via TV Fanatic. On The Blacklist Season 6 Episode 5, Red tried to retain his immunity agreement, but who was trying to take it away? Watch the full episode online right here. On The Blacklist Season 6 Episode 4, Red found himself behind bars, and in an unpredictable situation. Watch the full episode online right here. On The Blacklist Season 6 Episode 3, Red had to come up with a new plan when he learned the net was closing in around him. Watch the full episode. You know the problem with drawing lines in the sand? With a breath of fresh air, they disappear. Just because you’ve been bumped up to first chair in the orchestra doesn’t mean you can compose a symphony. 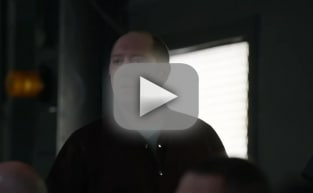 The Blacklist Season 6 Trailer: Who Will Save Red? The Blacklist Promo: Liz is Ready for Revenge!